Mitsuru Nikaido is so good at biomechanical forms like this robot t-rex. 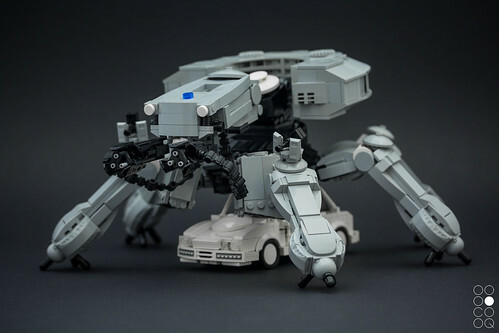 Gamabomb‘s industrial style works just as well in monochrome with this chunky mech. As Febrovery winds down, yet another goofy neo-classic rover from billyburg. 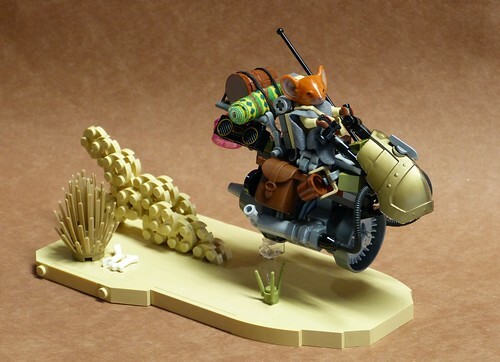 I’m loving this speeder bike by Adam Dodge, especially with the mouse pilot. Omar Gonzalez has updated some of his gorgeous racing mecha to use the new battlesuit cockpit. 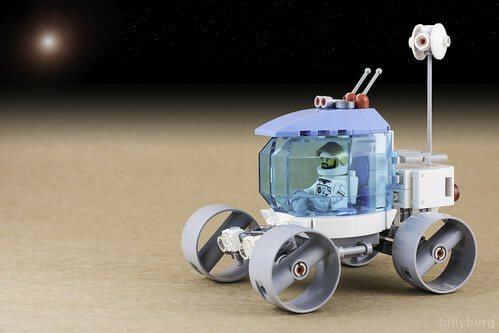 billburg‘s latest rover is awefully meta. 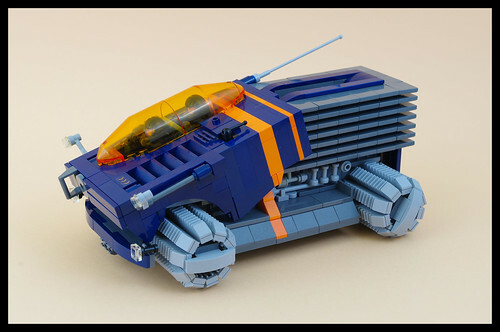 Cecille Fritzvold is killing it in the latest Iron Builder challenge! 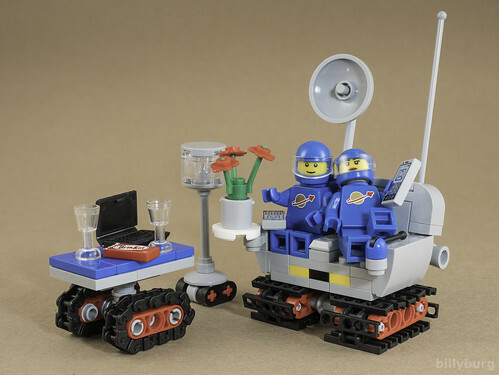 This retro build by F@bz is one of my favorites from Febrovery so far. I especially like the repeated visual elements. 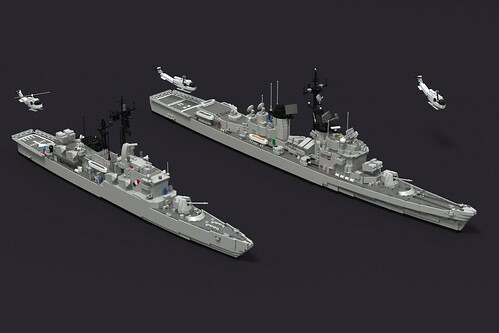 The Backward One has a lovely attention to detail on these naval renders. This fighter by Buck has a ethereal quality that is nicely complemented by the white. 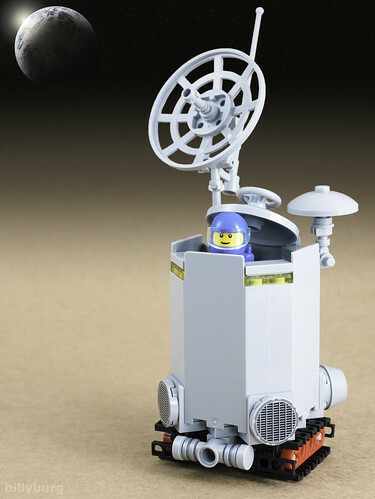 This whimsical little rover from billyburg is the perfect Febrovery build. 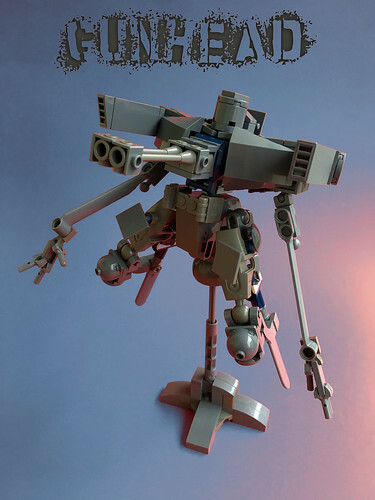 Andrea Chiapella built this lanky mecha with classic Rick Dom touches. Cole Blaq‘s clean style is beautifully showcased in this hulking think tank. This aptly named bot has an air of wonderful chaos. Built by Aaron Williams.